We have previously been witness to Thomas Heatherwick’s ‘hive’ architectural specimen for Singapore’s Nanjang Technological University. 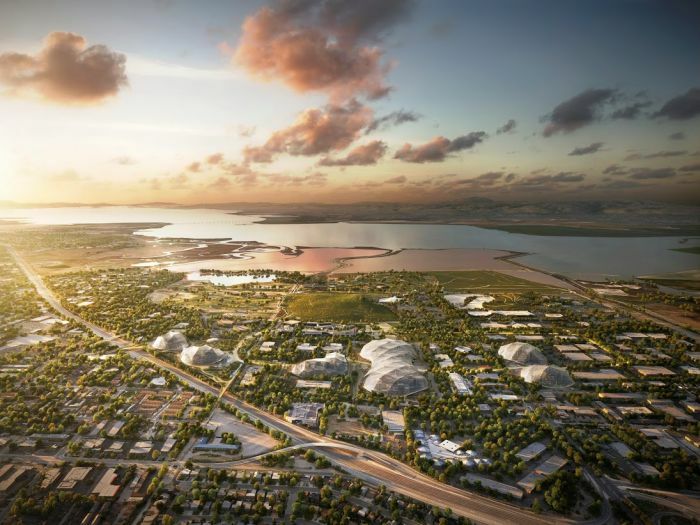 Well, this time around, imposingly fantastical structures give way to extensive re-configurable spaces – courtesy of the plans made by Thomas Heatherwick and Bjarke Ingels (from BIG), for the expansion of Google’s Mountain View campus. 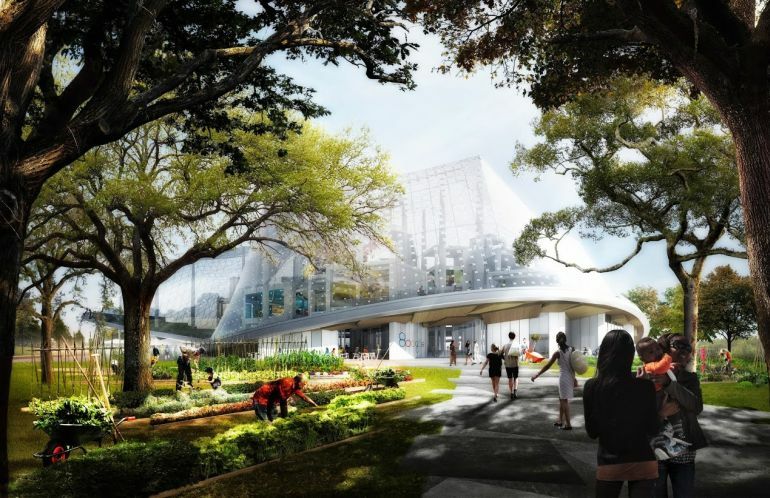 Touted to ‘significantly increase the square footage’ of the campus (that encompasses a whopping 300,000 sq m), the project will entail the use of flexible blocks of structure, as opposed to conventionality of immovable concrete. To that end, the core ambit of this ‘expansive’ expansion will involve the design of huge but translucent canopies that can easily cover the sites that will undergo structural refurbishment. These tent-like forms (with lightweight membranes) will encapsulate large areas with climate-controlled attributes. 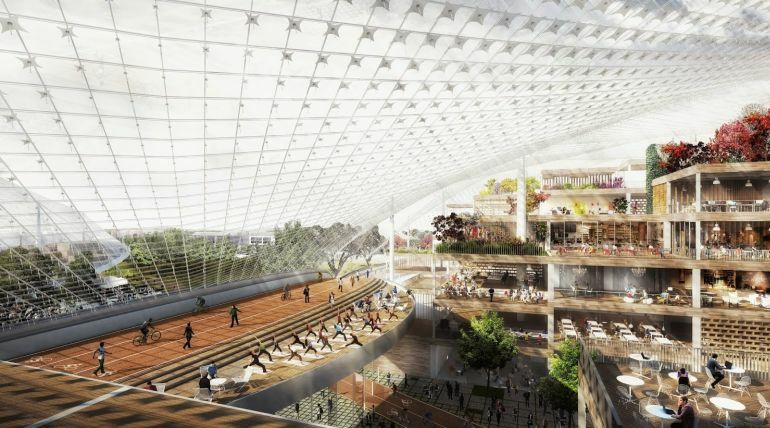 However, in spite of the environmentally regulated nature of the spaces, the designs will utilize passive architectural techniques that will the induction of natural air and light into the advanced circulation zones. The scope of re-configuration will also extend to the so-called walls of the building. In that regard, the walls and floors will comprise of giant block-like modules that can be assembled and disassembled to make way for modified spaces. This interesting design ambit will allow for specified spaces (within the same scope) for different Google products. For example, variant areas can be created for testing self-driving cars, while the very same zones can be re-configured to be used as an office for the search engine managers. Of course, moving around the giant modules requires some ingenious solution – and that would translate to the use of giant robotic cranes or ‘crabots’ that can arrange these literal building blocks. 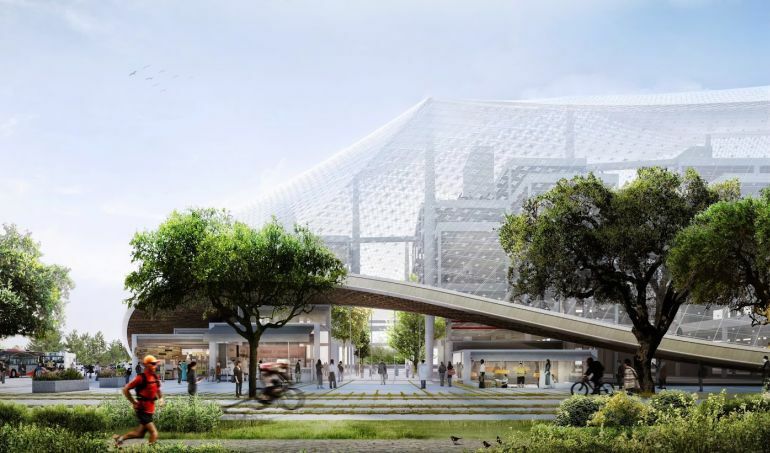 To that end, according to the 225-page report submitted by Google planners to the Mountain View City Council , the modules would be placed like oven-racks, while the ‘crabots’ could stack these blocks atop each other to create flexible spaces. 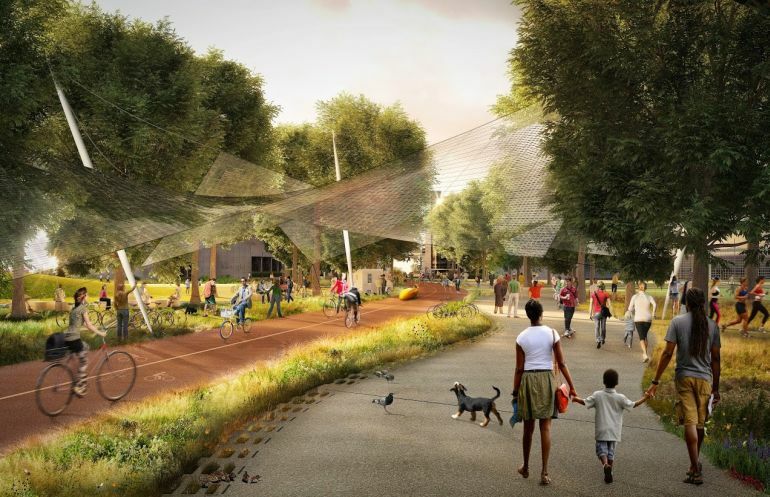 Finally, beyond the structural amplitude, the expansion project of the Google campus will also entail the addition of walking and biking trails (sometimes via the buildings), enhancement of burrowing owl habitats, and improvement of the proximate creek beds – to collectively accentuate the ‘greenness’ of the site. This in turn can lead to the creation of a wholesome, family-friendly environment that would account for localized business opportunities, like retail outlets and restaurants.